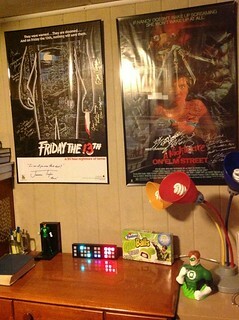 Gotta get that DCeased #2 Variant; my signed NoES poster hangs in my den and I see it every day, so it's a familiar sight. Last edited by Space Cop; 04-04-2019 at 03:41 AM. It's true (though the box is moved to the next shelf over since that photo). I even had to give all GLO Balls to the family because I hate coconut. Yasmine Putri seems like the halfway point between Jason Pearson and Esad Ribic. I really wish Gerard Way wasn't attached to this new Doom Patrol series. His 12 issues he did ended up not being very good. He tried his best to be Grant Morrison, but he was really more of a Rachel Pollack clone. He started out strong but it turned into a dumpster fire fast. Although I hate that they feel the need to add another Earth lantern to the mix I do think the story itself sounds interesting, I might give it a gander if it's not too teen vibey. I'm hoping they make her alien somehow....they don't have to be from Earth to be relatable in some way.